We are faith-based Christian landscaping company located in Germantown Maryland. 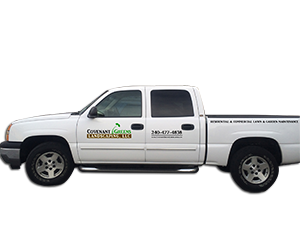 We provide lawn and garden maintenance services to residential and commercial properties in Germantown, Clarksburg, Boyds, Gaithersburg and Damascus communities. We are insured. Why choose Covenant Greens Landscaping? Passionate for plants (greens) and have maintenance services for beautification and sustainability of your plants. Follow-ups after every service for quality customer service relationship. At Covenant Greens Landscaping, we sincerely believe that a strong personal relation with clients always comes first and then our attentive maintenance services to beautify and protect our clients’ invested properties follow suit. Spring cleaning, Power-washing, Hauling, Pruning, Trimming, Weeding/Mulching, Creating flower bed(s), Planting/Transplanting, Lawn mowing, Edging, General fertilization, Fall Cleaning, Leaves collection, Aeration, Dethatching and Seeding/Reseeding. To learn more about our services please visit our garden and lawn maintenance services pages. Please fill out this form to request a free quote or inquire about our services. Germantown, Clarksburg, Boyds, Gaithersburg and Damascus communities.